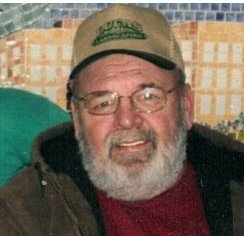 Obituary for Joey Richards | Campfield Hickman Collier Funeral Home, Inc.
Joey Richards, 69, passed away unexpectedly on Sunday, March 31, 2019.He was a lifelong resident of Barberton and a member of Teamsters Local #24.Survived by his wife of 44 years, Joanne; children, Erin (Ian Scott) Richards and Kevin (Angela) Richards; grandchildren, Skye Richards and Chase Selman; brothers, Richard (Becky) Richards, Michael Lancaster, John (Terri) Lancaster and Dennis Lancaster; special cousin, David (Linda) Muckleroy; along with other family members and many friends.“I’ll tell you what…..You were lucky to know me”. A memorial service will be held Thursday, April 4th at 7 p.m. at Campfield-Hickman-Collier Funeral Home, 566 W. Park Ave., Barberton 44203.Joey’s family will receive friends from 5 p.m. until time of service. In lieu of flowers donations may be made to the family c/o the funeral home.